There have been so many trends over the years in construction and if you are a project manager, you know what I am talking about. You may be in the mindset to stick with the tried and true methods, but there are a few things that you might want to be prepared for in the future. Energy Efficient Wall Systems: It has become very important to building owners to have their buildings as energy efficient as possible, because their maintenance costs and energy costs are much lower. Therefore, you will want to begin to construct the outer walls using wall systems that incorporate insulating concrete blocks instead of just the concrete blocks. The wall systems can be installed faster and less expensively, plus they perform well in every region. Green Designs: Everyone wants to improve the environment nowadays, and green designs can help by making a major impact. An eco-friendly building will also be better for the people that work inside. Eco-friendly buildings offer more productive workspaces and they are more energy efficient than buildings that have no green features. Smart Glass: Many commercial buildings utilize windows to bring in a lot of natural light. Unfortunately, all these windows can bring in a lot of heat as well. 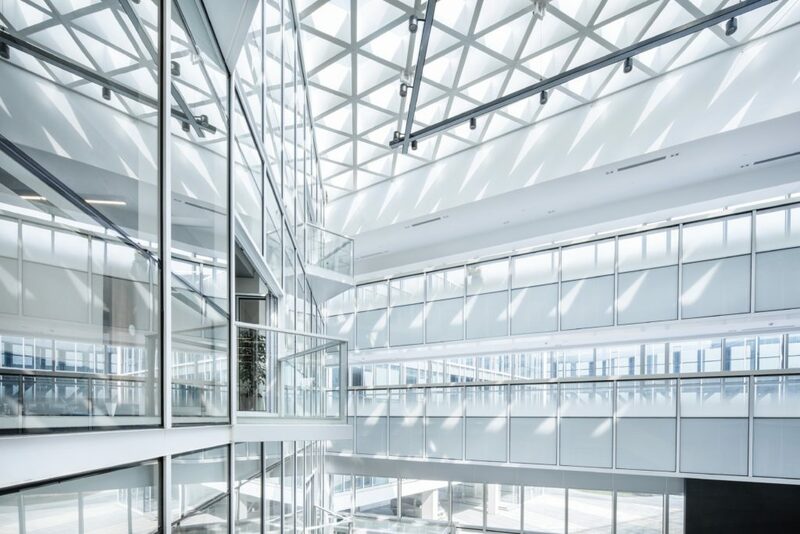 Smart glass can prevent a building from getting too much heat from the sun, because the glass is tinted or glazed to control the energy efficiency. Incorporating Gathering Spaces: Gathering spaces are becoming more popular in the workplace as employers are trying to find ways to give their employees a comfortable place to gather to collaborate on work projects. Some of these spaces are inside, but many employers are beginning to provide beautiful spaces outside as well. Utilize Virtual Reality: Virtual reality can help you as a project manager, because you can walk through a building as it is going through the design process. It will allow you to find flaws, obstacles, or issues before they become real problems during the construction process. These five trends can be really helpful during the commercial building construction process and they are trends that I believe will be around for a long time. They are going to improve the design of commercial buildings and improve the building owner’s experience. Those are two excellent things that will improve the construction business and keep it changing for the better.